Just at the point where Kensington Church Street veers left (or north west if you prefer) while Vicarage Gate carries on northwards. 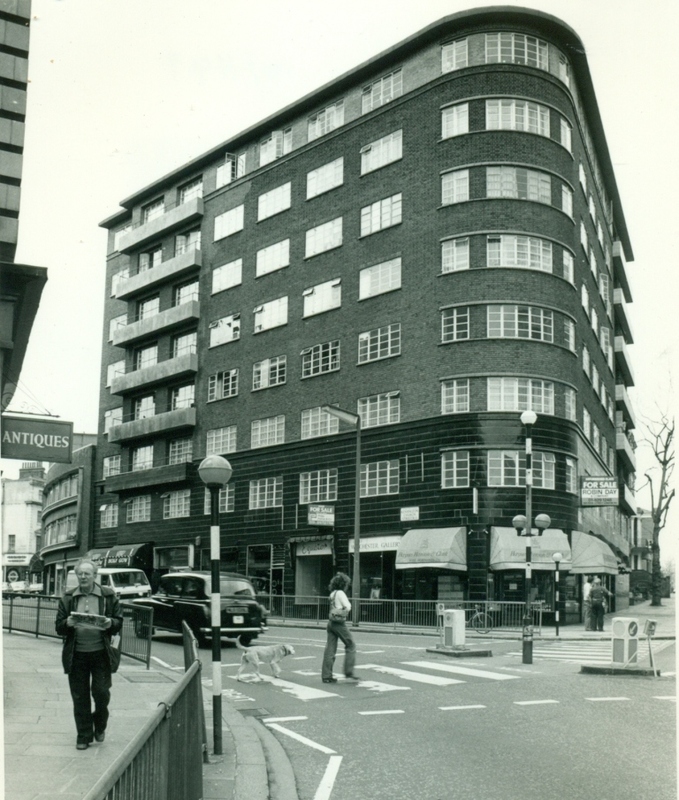 The building which looms above us in this picture is Winchester Court, a nicely curved block of flats built in 1935. 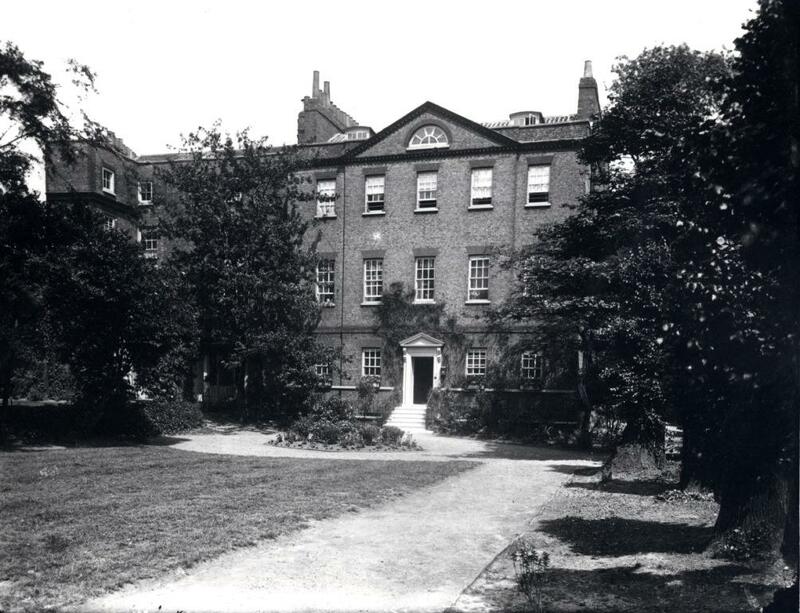 Before it was there, according to my constant companion, the Survey of London there was “a large house” which became a convent, and then the Orphanage of St Vincent de Paul. The front of the church can also be seen in this picture. The original print is small in size but crisp. You can see the spire of St Mary Abbots, the old Barker’s building at the bottom of the hill and the walls of the houses opposite the church. 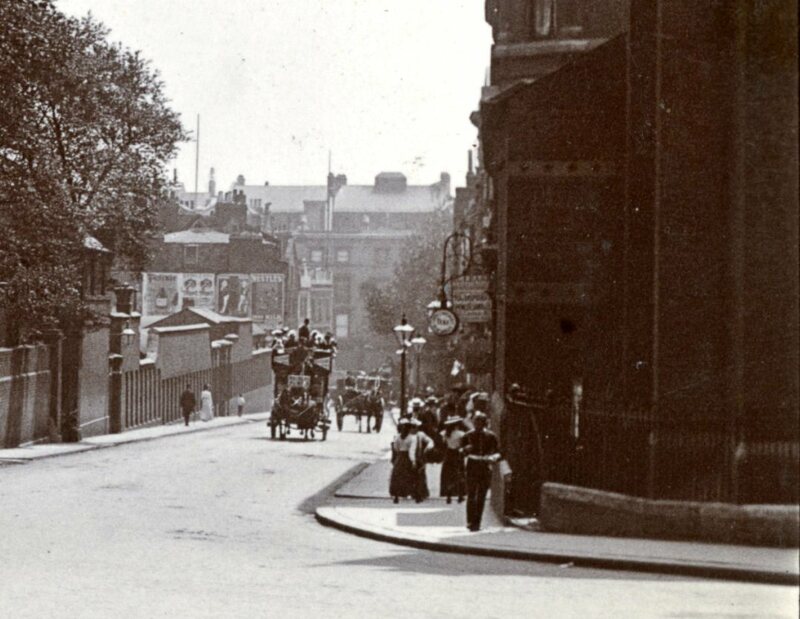 I have naturally enlarged the image to have a look at the pedestrians. Note the horse bus climbing slowly up the hill. This historical view actually fits in with my other idea for this week. 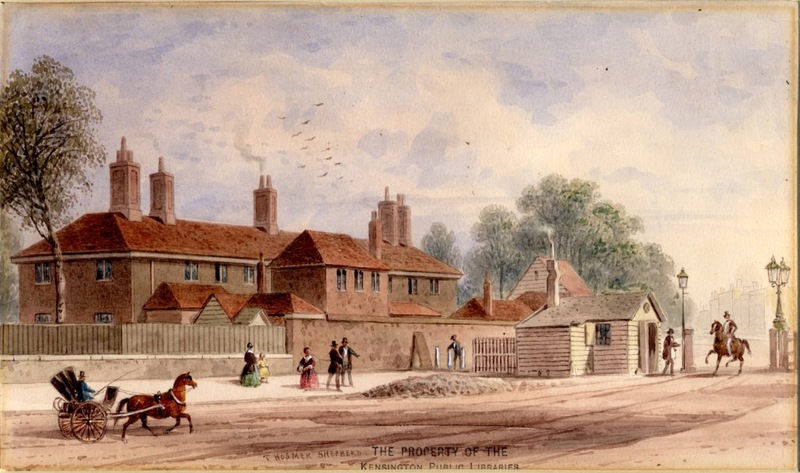 When I looked at an old plan of Kensington Church Street circa 1833 it showed several example of the “large houses” which were fairly common in Kensington at the time. 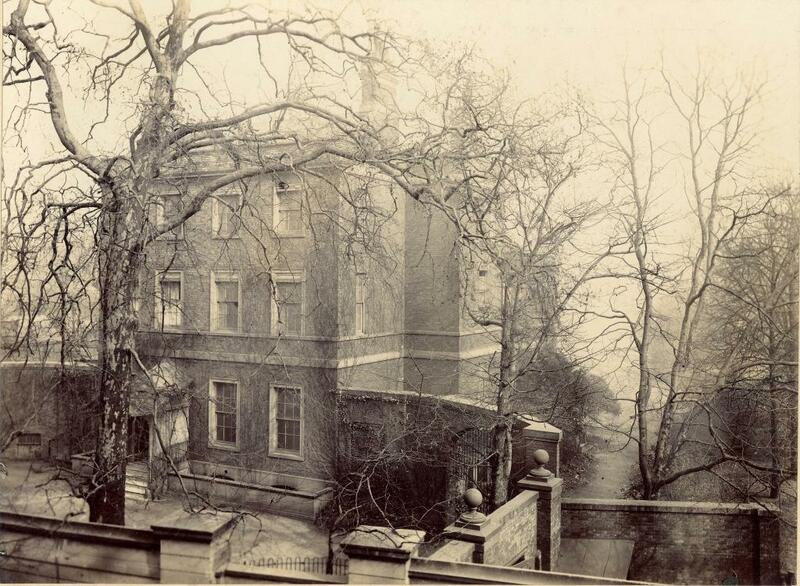 Maitland House, demolished 1905 stood in grounds next to the Palace Forcing Grounds (see last week). It was the home of the artist Sir David Wilkie and the father of John Stuart Mill. The photo is by Augustus Stieglitz. Its next door neighbour was York House, seen here from the west. 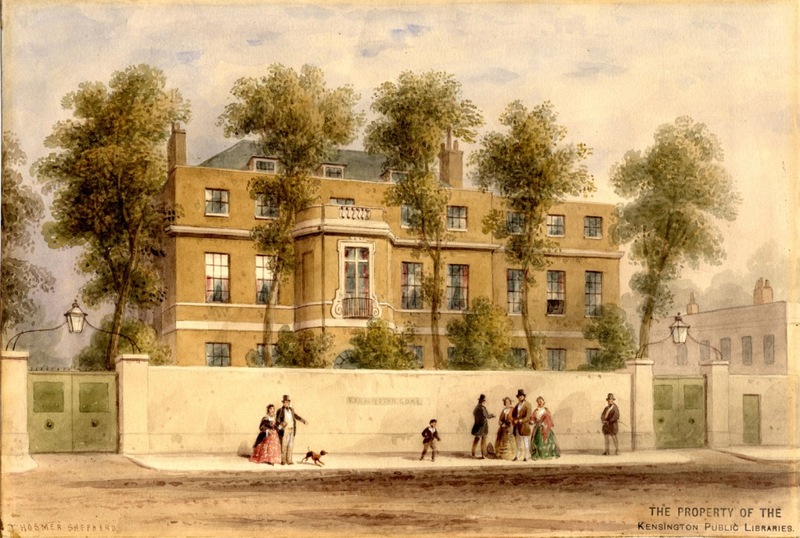 York House, demolished at about the same time was even grander than Maitland House. 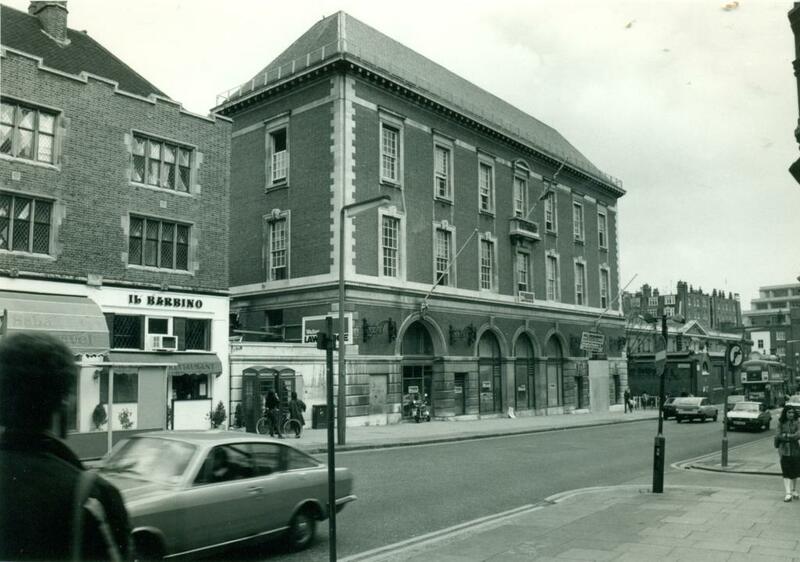 This 1980 picture shows the buildings which replaced Maitland and York Houses. 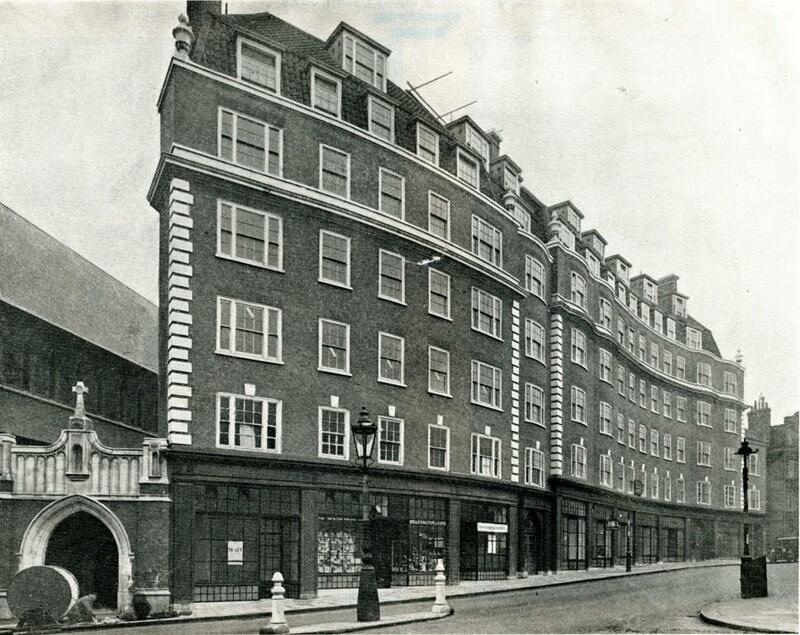 block on the left was the York House flats and the office/showroom in the centre was originally built for The Gas Light and Coke Company in 1924. There was a house called Bullingham House round the corner to the north west. But here things get a little complicated. There were two houses called Newton House, named after Sir Isaac who lived in one of them (possibly) quite near to each other on this side of Church Street (or Lane as it would have been). We’ve been here before in a post about the artist Thomas Hosmer Shepherd You can see some pleasant water colours of these houses, but also a factual error I didn’t notice at the time. Let’s go forward in time a little. Here, by the side of the old church is Newton Court, the opposite side of the road from Winchester Court. This one was modern and desirable in 1926. Probably still quite desirable. Moving even further forward to 1980 again, and crossing the road once more.. The east side of the street, next to Winchester Court. We have at least got round the corner and are heading north. But remember that bus, heaving up the hill? In full uncompressed colour, not the same vehicle but one very like it, anticipating many of the journeys I have made up the hill. Although we’ve moved even slower this week a matter of yards even, we are now pointing north, and poised for the next stage in our journey. I might do something else next week, just for fun, but we will be returning to Kensington Church Street soon. 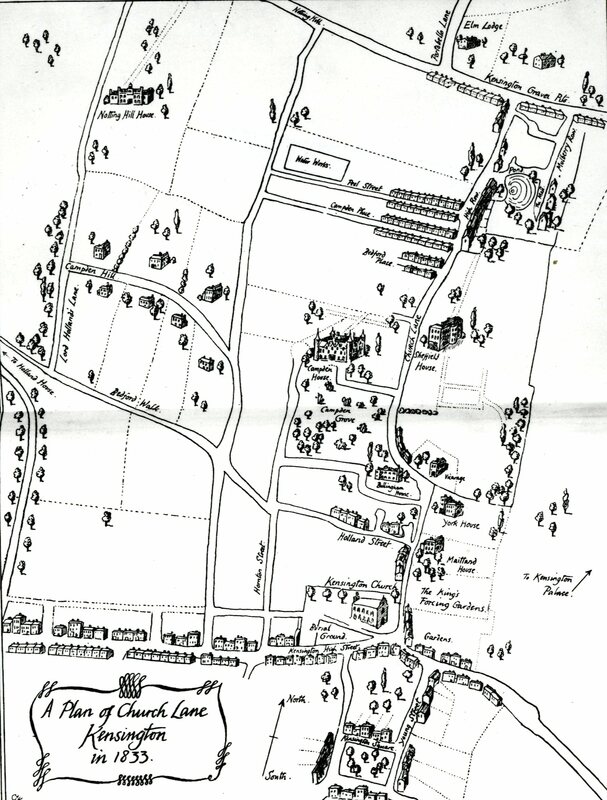 For added clarity, here is the plan of Church lane as it was in 1833. Before the postscript though thanks to the late Barbara Denny and the still going strong Carrie Starren for their book Kensington Past which has helped me when the water of the Survey of London grew too murky. I’ll be drawing on this work again. I was a bit late posting last week so although I had heard of the death of Harlan Ellison I didn’t have time to write anything. Then this week I heard about the passing of Peter Firmin so now I have to mention them both without incurring cognitive dissonance. Harlan Ellison was a science fiction writer and polemicist, a champion of “new” SF in the sixties and seventies, a gifted writer of short stories, many of which had extraordinary, typically 60s titles (“I have no mouth and I must scream”; “The beast that shouted love at the heart of the world”; and my personal favourite: “Repent, Harlequin! said the TickTock Man” – the collection Deathbird Stories would be a good place to start. I think my copy is in a box in a storage unit in Fulham so finding it would be a good story in itself) He was editor of the seminal series of Dangerous Visions anthologies, TV script writer (The Outer Limits episodes Demon with a Glass Hand and Soldier for example, and the Start Trek time travel episode City at the Edge of Forever) and more. A media personality before SF writers did much of that and a thorn in the flesh of the establishment. The film of his story A boy and his dog can currently be seen on Prime – a great twist at the end. Peter Firmin was the co-creator of the Clangers, and many other collaborations with Oliver Postgate. So in his own way another giant of science fiction. I’ve been doing a bit a period reading recently, in a 1966 edition of Geoffery Ashe’s book King Arthur’s Avalon. There is a certain kind of pleasure in reading a non-fiction book written in 1956 which is quite different from reading an old novel. It feels like i was once again reading a book from the city library when I was a teenager and picked up lots of books concerned with history and mythology. In the modern life of informaton I can find out that, unexpectedly to me (we’re always consigning people to the grave before their time) Ashe is still alive, now aged 95. No obituary for him just yet. I hope he is well. Thomas Hosmer Shepherd doesn’t get a whole entry to himself in the Dictionary of National Biography. The details of his life are tagged on to the entry about his more eminent older brother George Sidney Shepherd who was also a painter of watercolours and a draughtsman. The difference in status between the two seems less significant now that some time has passed since they both died in the 1860s. It’s Thomas we’re dealing with here though .His fame is based on the large number of watercolour paintings of London many of which were turned into into engravings for use in books about London. You won’t find any of today’s images in any of the editions of Shepherd’s London because of course strictly speaking we’re not in London. 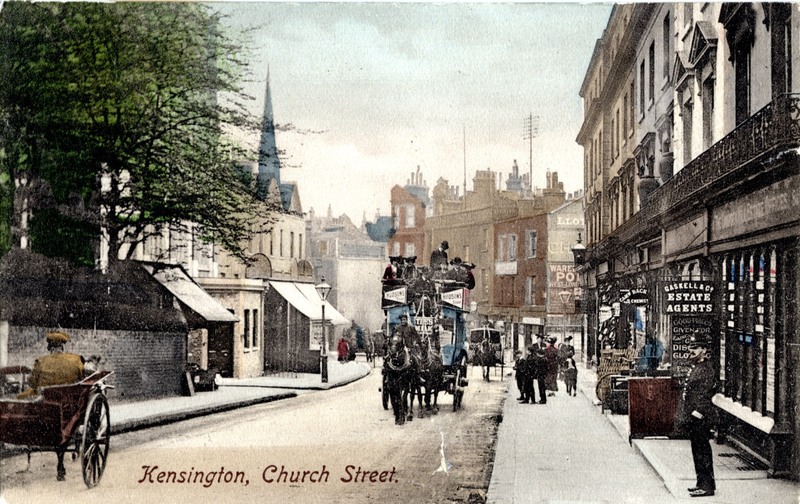 Kensington was a suburb, near to the City of Westminster but not quite in it. Last week we finished with a view in Brompton, of Holy Trinity Church which is on the road to another vaguely defined area, Knightsbridge. This is another ecclesiastical picture of the Brompton Oratory Buildings, hence the black robed figures in the foreground. 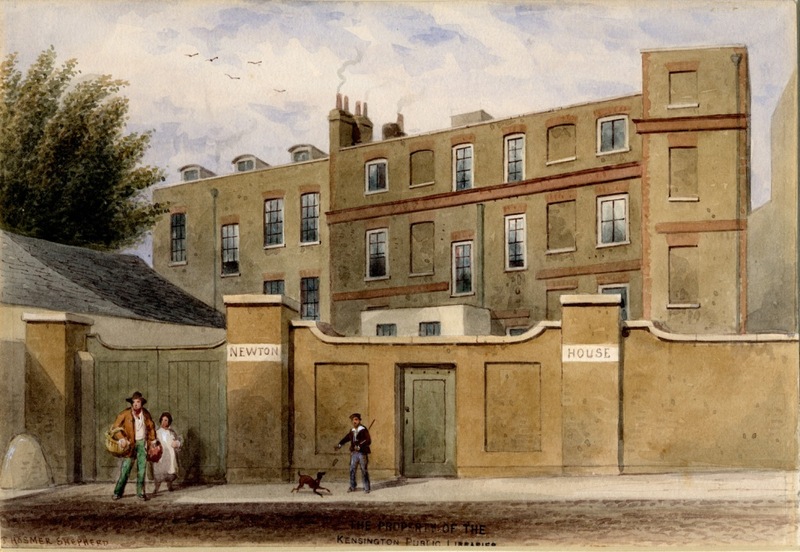 Below is a more secular view, of Brompton Road, a terrace of its fashionable new houses, complete with the dashing horseman, some admiring ladies and the obligatory feature of Shepherd pictures, the little running dog. If we move north we come to the main road west from the same area, the road formerly known as the Kensington Turnpike. 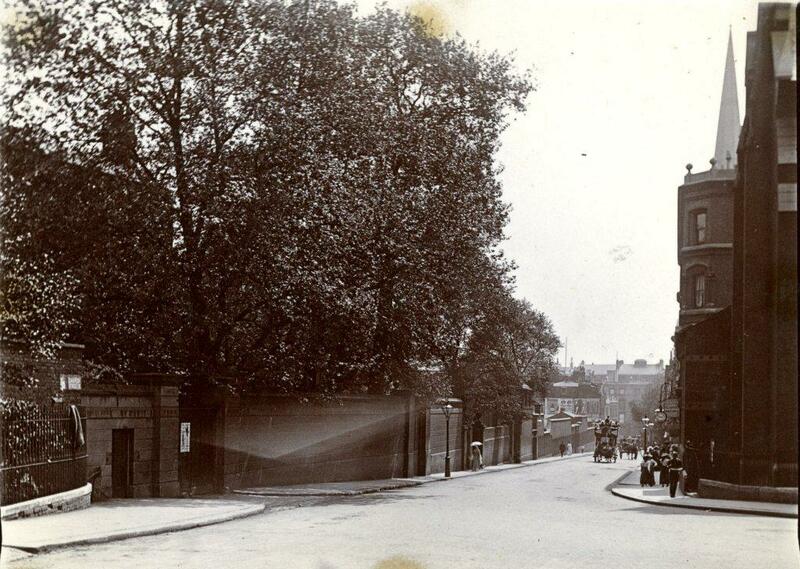 East of the barracks the building below stood on the site of the current Albert Hall Mansions. 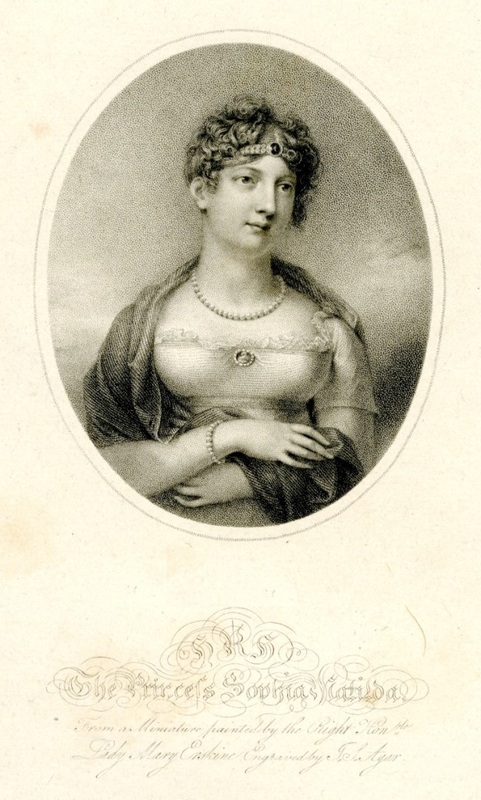 Gore House was the home of William Wiberforce and the society beauty and author Marguerite, Countess of Blessington. She lived in lavish style there until the money ran out. Later the French chef Alexis Soyer of the Reform Club lived there and had a Gastronomic Symposium of All Nations in the grounds. Soyer ran soup kitchens in Dublin during the Irish potato famine and organised hospital kitchens during the Crimean War. He was the last occupant of Gore House. 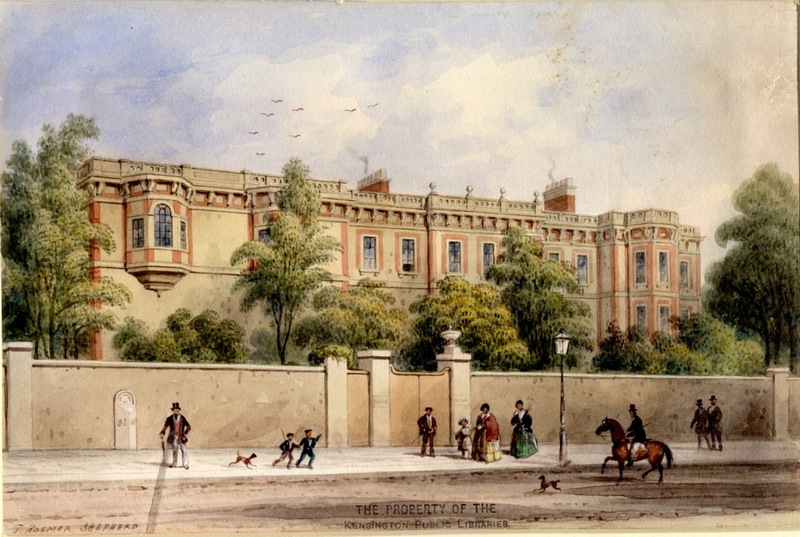 Soon after his death it was demolished, in 1858. 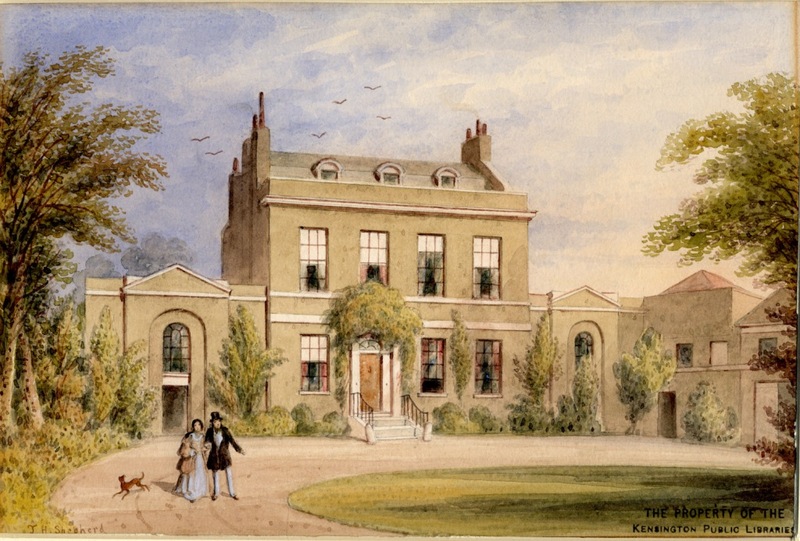 Far from modest itself was Kensington House. 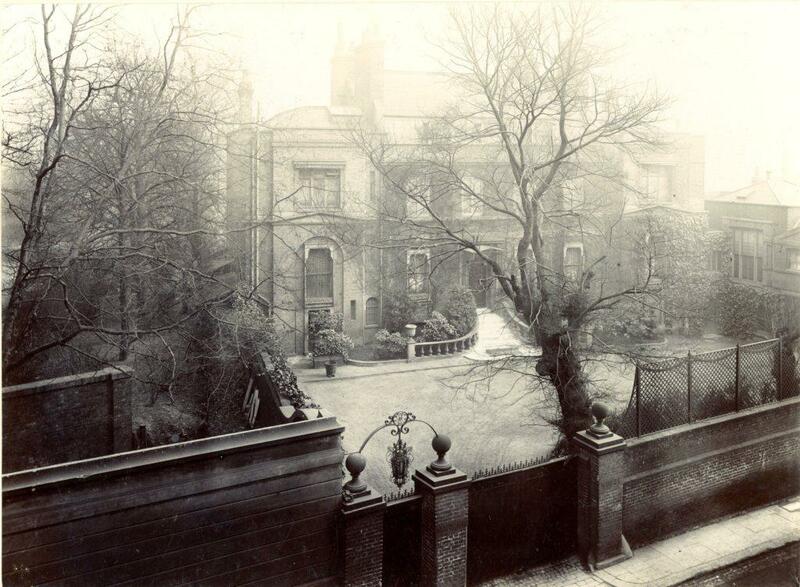 This was not the magnificent and short lived Kensington House built by the financial speculator Baron Albert Grant in the 1870s (In some ways the Forgotten Building par excellence. But I only have a couple of pictures of it.). This Kensington House was bought and demolished by Grant. 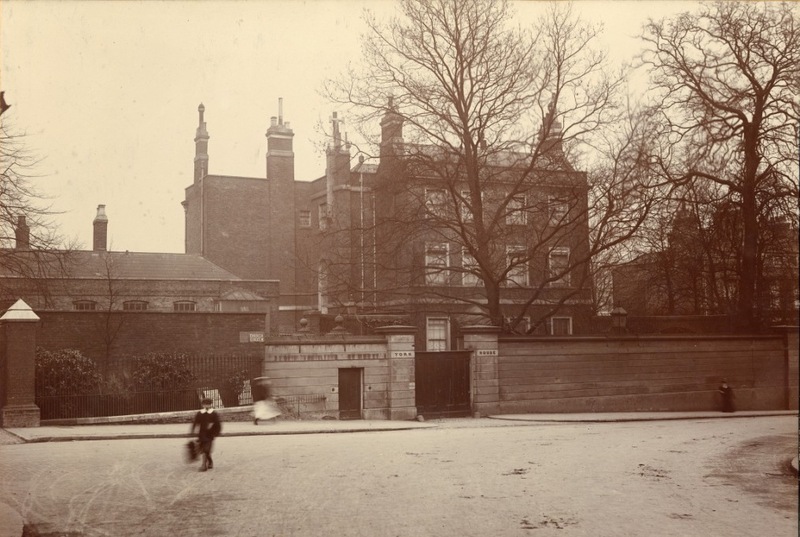 But in its time it had been the home of the Russian Ambassador (the first one to live in Kensington but not the last), a boy’s school and a scandalous lunatic asylum. Now we take a detour up Kensington Church Street. This is Maitland House, from inside the grounds where an elegant couple are walking that same dog. There is no mystery in Shepherd’s architectural views which are sometimes a little fussy. They resemble something an estate agent of the day might have used to promote sales. They make up for the lack of atmosphere with accuracy and a certain charm. Maitland House was the home of the Scottish painter Sir David Wilkie and the philosopher John Stuart Mill. A street view of another house in Kensington Church Street, Newton House. A street vendor with his daughter, perhaps, and a boy with his dog. Newton House was named after Sir Isaac Newton who had lived in one ot the houses owned by Stephen Pitt in the area but it’s unlikely it was this one. 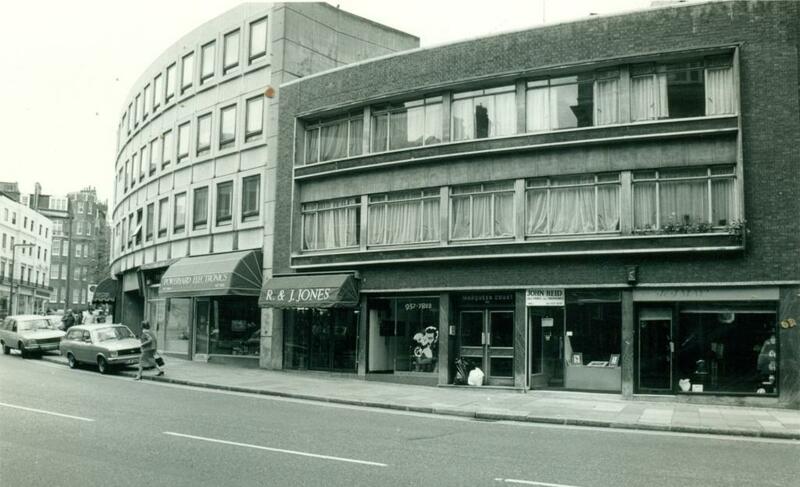 The building below, in Marloes Road on the south side of Kensington High Strret looks pleasant in Shepherd’s picture. But you wouldn’t want to have ended up living there. 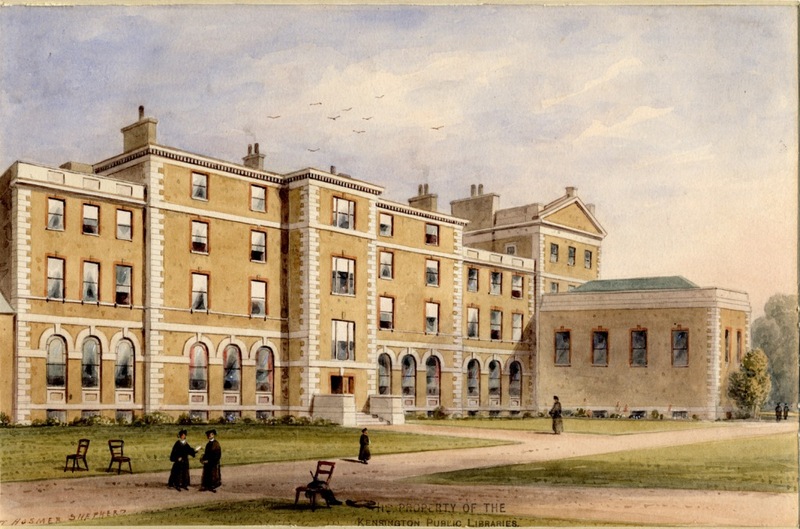 This is the Stone Hall section of Kensington Workhouse,built in 1846. 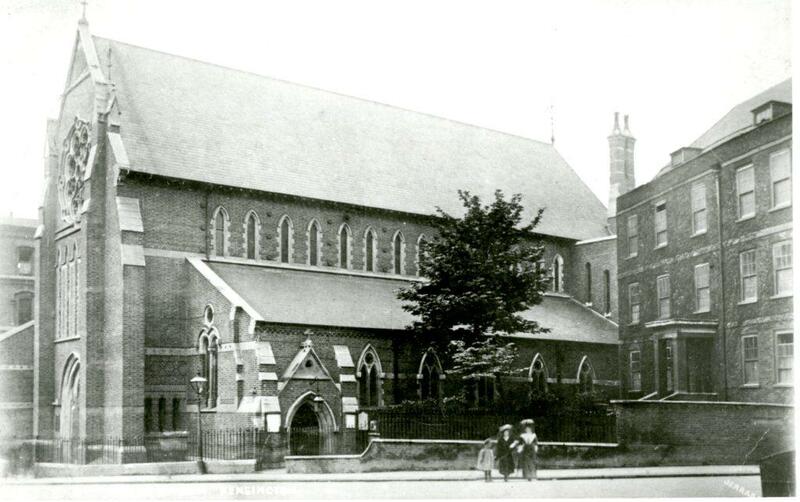 Like its cousin in the Fulham Road it was built for a neighbouring parish in Westminster and eventually became a hospital, St Mary Abbotts. As these places went it wasn’t one of the worst, but still. 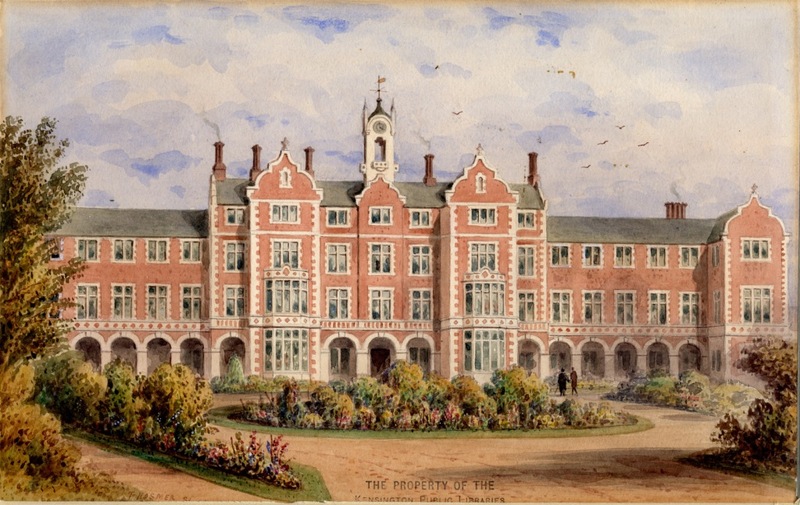 When it closed as part of the reconstruction which created the new Chelsea Westminster Hospital the buildings became part of a housing complex. Further down the High Street on the way to Hammersmith is an inn on the western edge of Holland Park. This view of the White Horse (not the two dogs) must have been a historical view. 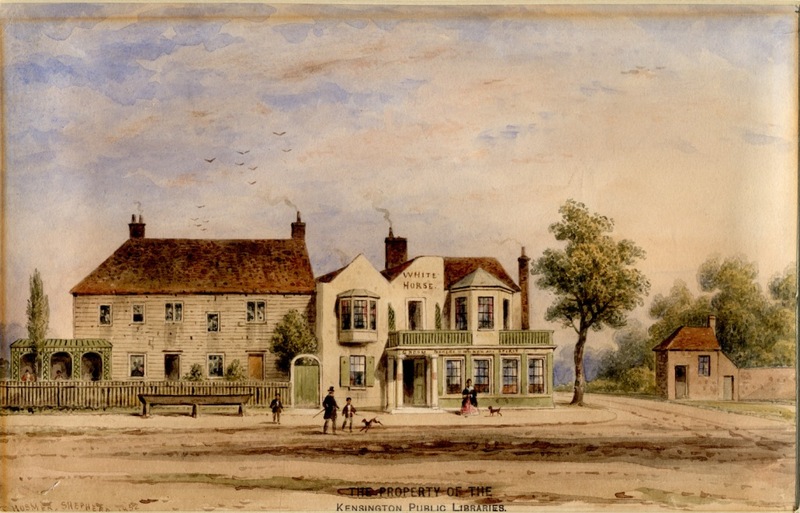 Shepherd also painted the building which replaced it on the site, another inn. 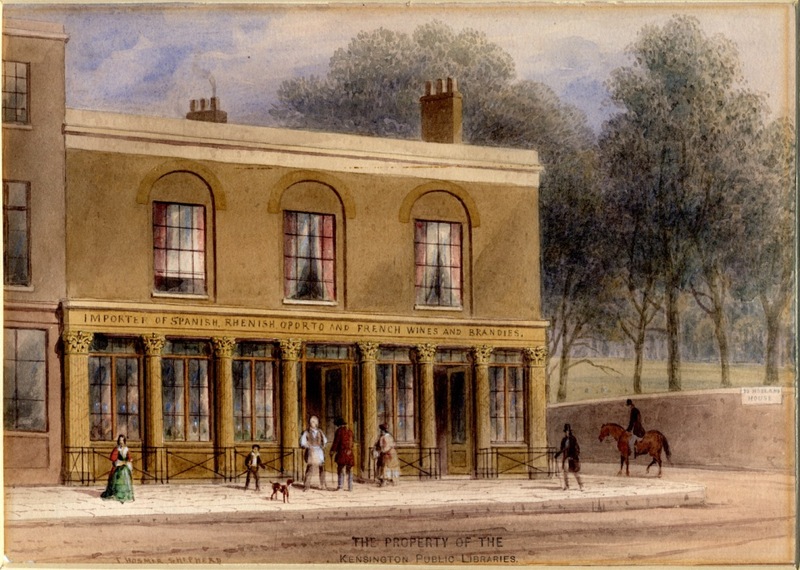 This inn was called the Holland Arms. although the scene is rather less rural than the previous one and the inn has lost its garden, the place still looks relaxed. The people stand as though having their photographs taken. The horse stands as though its rider is about to dismount. Even the dog is now still. I think the woman on the left looks a little more modern in her dress but I suppose you shouldn’t read too much into Shepherd’s figures. They’re a little like the stock people who inhabit architectural drawings. I’m programmed to wonder about them despite that. Both Shepherd and his brother had precarious artistic careers and died in reduced circumstances within a couple of years of each other, well before photography took over as the principal method of recording the appearance of places. 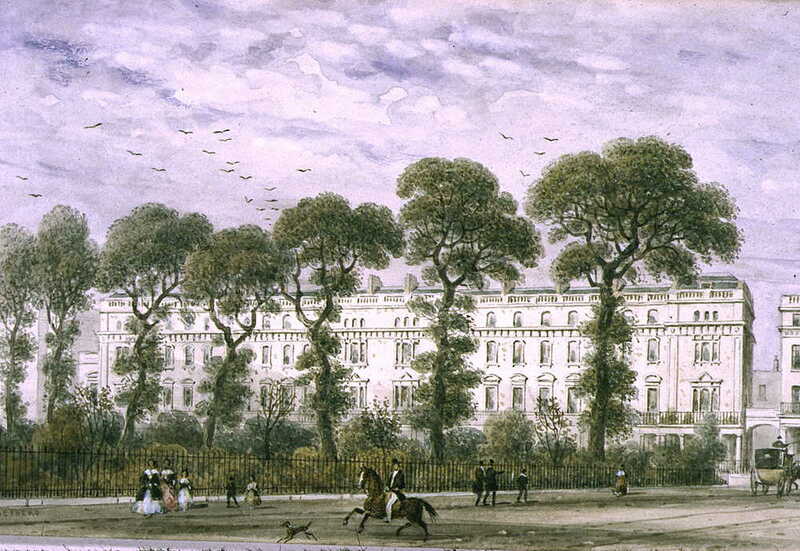 Thomas Hosmer Shepherd also left us some interesting views of Chelsea which we’ll look at another day. The rather annoying message “The property of the Kensington Public Libraries” must have been stamped rather barbarously on the front (what was wrong with the back?) of these pictures by some pre-1965 employee of the Council. You don’t come across that very often, I’m glad to say. I’ve been taking a break from work and I’ve been working on three posts at once. The other two still need a little more research so who knows what’s coming next week. Continuing the practice of acknowledging sources, I leaned heavily on Kensington Past this week, a book by the late Barbara Denny and Carolyn Starren, now unfortunately out of print.